Is there a better alternative to Listen Widget? Is Listen Widget really the best app in Security category? Will Listen Widget work good on macOS 10.13.4? Listen is the fastest iTunes controller made yet. Listen sports a sleek interface designed by Rick Patrick. 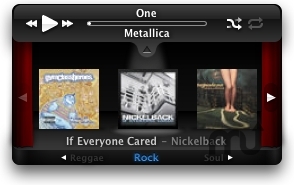 But not only is Listen the best iTunes controller, its the cool new way to see whats hot on the iTunes Store. Pull down the stage and right at your fingertips are the best songs or albums seperated by genre. A simple click on the album art sends you to the real store to hear or buy the song. Listen Widget needs a rating. Be the first to rate this app and get the discussion started!